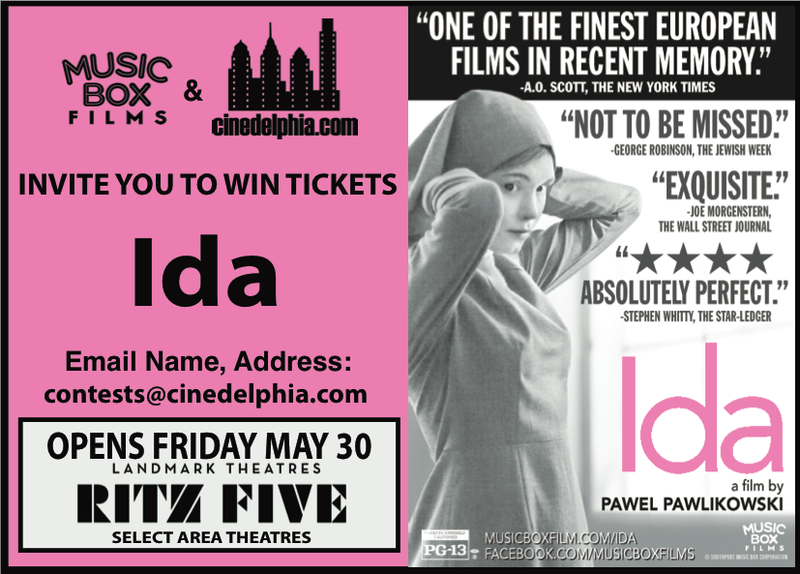 We have a bunch of tickets to see Ida during its run at the Ritz at the Bourse, opening Friday, May 30. To enter, e-mail your mailing address to contests@cinedelphia.com, winners will be chosen at random, only one entry per household please. Poland 1962. Anna is a beautiful eighteen-year-old woman, preparing to become a nun at the convent where she has lived since orphaned as a child. She learns she has a living relative she must visit before taking her vows, her mother’s sister Wanda. Her aunt, she learns, is not only a former hard-line Communist state prosecutor notorious for sentencing priests and others to death, but also a Jew. Anna learns from her aunt that she too is Jewish – and that her real name is Ida. This revelation sets Anna, now Ida, on a journey to uncover her roots and confront the truth about her family. Together, the two women embark on a voyage of discovery of each other and their past. Ida has to choose between her birth identity and the religion that saved her from the massacres of the Nazi occupation of Poland. And Wanda must confront decisions she made during the War when she chose loyalty to the cause before family.